Under the provisions of the SARFAESI Act and the relevant Rules applicable under Section 13(1), a free hand is given to a secured creditor to resort to a sale without the intervention of the Court or Tribunal. However, under Section 13(8), it is clearly stipulated that the mortgagor, i.e. the borrower, who is otherwise called as a debtor, retains his full right to redeem the property by tendering all all the dues to the secured creditor at any time before the date fixed for sale or transfer. Under sub-section (8) of Section 13 the secured asset should not be sold or transferred by the secured creditor when such tender is made by the borrower at the last moment before the sale or transfer. The said sub-section also states that no further step should be taken by the secured creditor for transfer or sale of that secured asset. Dwarika Prasad v. State of U.P., 2018 (129) ALR 220. Lease and Mortgage are species of the same genus viz., the ‘transfer of property’. Both of them bring about transfer of property, but with a substantial change as to the nature of disposition. The principal objective of a mortgage is to provide security for repayment of amount, whereas the one under lease is that the owner of an item of immovable property permits another to use it on payment of rent. Except in the case of usufructuary mortgage and mortgage through conditional sale, the possession of the property continues to be with the mortgagor. In the case of lease, the transferee invariably gets the possession of the property. Apart from the broad difference, there are certain minute important aspects, that differentiate the mortgage from lease. Once a transaction of mortgage is brought about, the mortgagor gets the right to redeem and the mortgagee gets the corresponding tight to foreclose the mortgage. The nature of decree to be passed in a suit for foreclosure of mortgage differs substantially from the one to be passed in a suit for recovery of possession of property from a lessee. A preliminary decree is to be passed and it is followed by final decree. Chapter IV of the Transfer of Property Act, 1882 confers rights and places obligations on the mortgagors, on the one hand, and mortgagees, on the other hand, which are typical and germatone to such transactions. Prescription of any fixed term is alien to mortgages. Lease, on the other hand, involves, just the permission being accorded by an owner of property, to another, to use it. The consideration therefor is the rent fixed with the consent of the parties. In a given case, the lease may be nominal or phenomenal. Further law does not prohibit the rent being paid in the form of adjustment from the amount due from the lessor to the lessee. What becomes important is the objective underlying the transaction, namely use of the property belonging to the lessor by the lessee, on payment of rent and for a stipulated term. 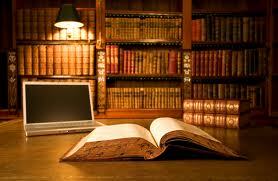 Chapter V of the Act enlists the rights, which a lessor has against the lessee and vice versa. Termination of lease on the one hand, and foreclosure/redemption of mortgage, on the other hand, have nothing in common. When such is the radical difference between the two transactions, it is not at all possible to take the one for the other. Gita Cotton Trading Company v. CCRA, Hyderabad and another, 2013(121) RD 661 (AP). Rule of lis pendens applies to suit on mortgagee as well. Lord Justice Turner has succinctly dealt with this principle in the leading case of Bellamy v. Sabine (1857) 1 De G J 566. The doctrine is intended to prevent one party to a suit making an assignment inconsistent with the rights which may be decided in the suit and which might require a further party to be impleaded in order to make effectual the court’s decree. Law is well settled that a mortgagee, who has purchased a mortgaged property in execution of his mortgage decree is entitled to avoid a transfer on the ground that it was mortgaged by the mortgagor during the pendency of a mortgage suit. Section 52 of the TPA prevents a mortgagor from creating any lease during the pendency of mortgaged suit so as to effect the right of a mortgagee or the purchaser. Sunita Jugakishore Gilda v. Ramanlal Udhoji Tanna, 2013 (6) AWC 5652 (SC).